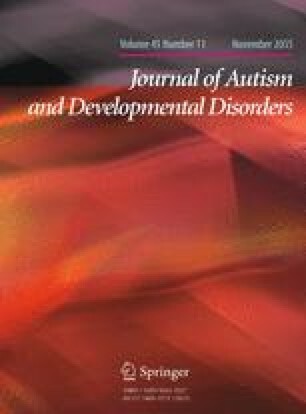 This study investigated the differences in clinical symptoms between females and males with autism spectrum disorder (ASD) across three verbal ability groups (nonverbal, phrase and fluent speech), based on which Autism Diagnostic Observation Schedule module was administered to 5723 individuals in four research datasets. In the Simons Simplex Collection and Autism Treatment Network, females with ASD and phrase or fluent speech had lower cognitive, adaptive, and social abilities than males. In the Autism Genetics Resource Exchange and the Autism Consortium, females with phrase or fluent speech had similar or better adaptive and social abilities than males. Females who were nonverbal had similar cognitive, adaptive, and social abilities as males. Population-based longitudinal studies of verbally fluent females with ASD are needed. EMM has received support from NIH P20GM103645-01A1, R01MH105442-01, R01MH102418, and a Career Award in Medical Science from the Burroughs Wellcome Fund. YJH received support from the Maternal Child Health Bureau (MCHB) under training Grant T77MC09797. We gratefully acknowledge the resources provided by the Autism Genetic Resource Exchange (AGRE) Consortium and the participating AGRE families. The AGRE is a program of Autism Speaks and is supported, in part, by Grant 1U24MH081810 from the National Institute of Mental Health to Clara M. Lajonchere (PI). We would also like to acknowledge datasets used for the analyses obtained from the Autism Treatment Network (ATN) Database. Funding support for ATN was provided by Autism Speaks. We would like to thank the ATN participants and the ATN Research Group for their valuable contribution to this research. The Autism Consortium is a Boston-based clinical and research collaboration, with 17 institutional members and 125 individual scientist and clinician members, who are collectively dedicated to catalyzing progress in understanding autism and related neurodevelopmental disorders in order to improve diagnosis, clinical care and treatment. With data and samples collected from 525+ families who participated in clinical research, the Consortium’s repository is made available for use by the autism research community. The authors are grateful to the Consortium, its members and the families who have made this vital resource possible. We are also grateful to all of the families at the participating SSC Simplex Collection (SSC) sites, as well as the principal investigators (A. Beaudet, R. Bernier, J. Constantino, E. Cook, E. Fombonne, D. Geschwind, D. Grice, A. Klin, D. Ledbetter, C. Lord, C. Martin, D. Martin, R. Maxim, J. Miles, O. Ousley, B. Peterson, J. Piggot, C. Saulnier, M. State, W. Stone, J. Sutcliffe, C. Walsh, E. Wijsman).